MANILA, Philippines - Leading telecommunications company Smart Communications Inc. (Smart) and its rival carrier Globe Telecom officially announced the availability in the country of Apple's latest flagship device, the iPhone 6 and iPhone 6 Plus. Smart and Globe said that it will offer new iPhones beginning Friday, November 14, 2014 ahead of the usual launch date for iPhone in the Philippines. Since the country always ends up being one of the last countries to get iPhone releases, it's normal that telcos offer iPhone during December. For the mean time, telco giants have put up registration page for those who want to be early adopters of the new device, so called the biggest advancements in iPhone history. 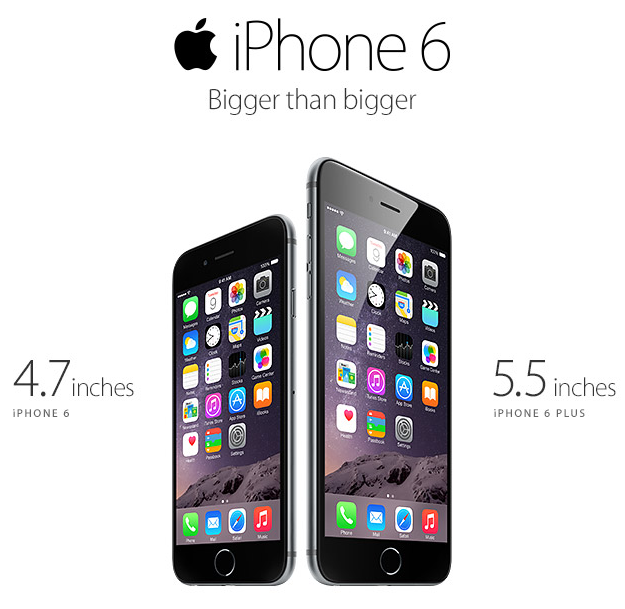 For Smart, customers can pre-order iPhone 6 and iPhone 6 Plus starting on Friday, November 7, 2014 at www.smart.com.ph/iPhone. Meanwhile, customers of Globe may access www.globe.com.ph/iphone6 to key-in their interest on the new gadgets. As the pre-registration are now up, Smart and Globe have no announcement yet of the postpaid plans and prepaid kit. Customers may expect them to reveal details a day or on the official launch date in Philippines. Just like Globe and Smart, iPhone 6 and iPhone 6 are also available via online stores Kimstore and Lazada. Kimstore is now selling iPhone 6 - 16GB for P37,999, 64GB for P48,500 and 128GB for 54,000 and iPhone 6 Plus - 16GB for P42,900, 64GB for P51,500 and 128GB for P57,000. Meanwhile, Lazada offers iPhone 6 16GB for as low as P36,420, 64GB for P44,499 and 128GB for P48,270. iPhone 6 Plus variants are also available on Lazada.com.ph for as low as P42,100 for 16GB. iPhone 6 (4.7 inches) and iPhone 6 Plus (5.5 inches) were officially launched in an exclusive event in Cupertino, California last September 9, 2014. The flagship devices boast its aluminum and glass design, Retina HD displays, A8 chip which promised to be 50 percent more energy efficient, M8 motion coprocesser, 8MP iSight camera, faster LTE and WiFi performance, Touch ID and the latest iOS 8 software update.